The inventor of the World Wide Web has launched a startup which aims “to decentralize the web and take back power from the forces that have profited from centralizing it,” a report said. For Tim Berners-Lee, “it’s game on for Facebook, Google, Amazon,” Katrina Booker wrote for FastCompany. 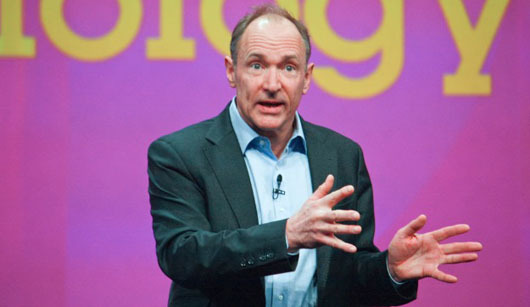 Last week, Berners-Lee launched Inrupt, a startup that is backed by Glasswing Ventures. The company “will be the first major commercial venture built off of Solid, a decentralized web platform he and others at MIT have spent years building,” the report said. There appears to be parallels with the block-chain technology behind crypto currency seen by many to be revolutionizing financial trading. Distributing data throughout the network protects files from getting hacked or lost. Inter Planetary File System (IPFS) makes it easy to conceptualize how a distributed web might operate. Similar to the way a bittorrent moves data around the internet, IPFS gets rid of the need for centralized client-server relationships (i.e., the current web). An internet made up of completely decentralized websites has the potential to speed up file transfer and streaming times. Such an improvement is not only convenient. It’s a necessary upgrade to the web’s currently overloaded content-delivery systems. Berners-Lee said he envisioned the new venture after revelations emerged that Facebook had allowed people’s data to be misused by political operatives. Developers around the world are now able to start building their own decentralized apps with tools through the Inrupt site.